If you are planning to get married in Italy but are concerned because you and your prospective spouse belong to the Protestant division—you need not worry—we at BeA Alfresco Wedding have a lot of experience in arranging non-Catholic ceremonies, and will assist you every step of the way. We are aware of the fact that there are many Christian divisions: Presbyterian, Methodist, Baptist, Lutheran, Episcopalian, etc., and we know that there may be slight differences in traditions, and also in the order of service. However, be assured that we are able to guide you through all of the necessary paperwork requirements and promptly answer any questions you may have about the ceremony for your particular religion. Protestant weddings tend to be shorter in length than Catholic ceremonies, regardless of denomination, and are easier to plan; there is more leeway allowed for the bridal couple to create their own vows, for instance. The wedding guests may also play a larger role in a Protestant ceremony by giving readings of Bible verses or even romantic poetry which is special to the bridal couple. 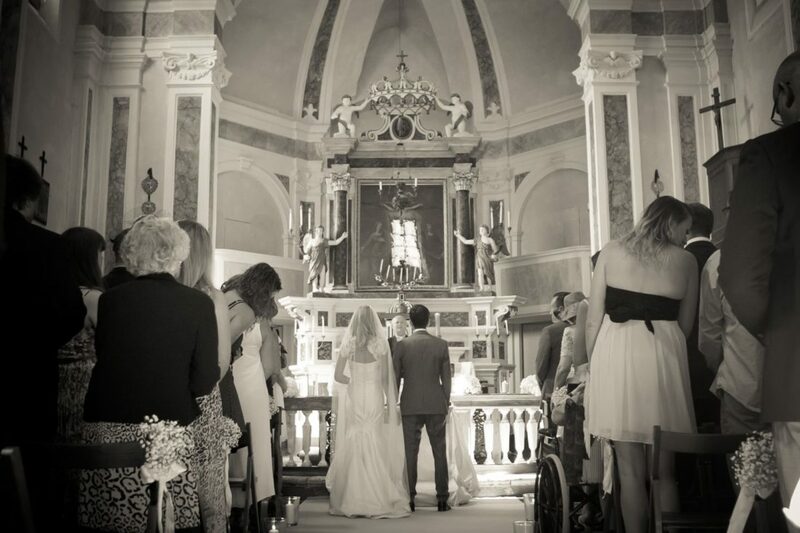 A Protestant wedding ceremony is not legally binding in Italy, and is comparable to a religious blessing of the marriage. It must be either preceded by or followed with a visit to the local town hall for a civil marriage ceremony – many people make the decision to have a simple civil ceremony followed by a more lavish marriage blessing in a church. Of course, our town halls in Tuscany are such ancient and beautiful buildings that you may prefer to merely have a civil wedding in the town hall and forgo the church blessing. In one of these buildings a civil marriage ceremony can be just as beautiful and memorable as one held in a church; the town halls in Florence, Lucca, Siena and Pisa are stunning. We are able to arrange everything for you, including all the documents required for the ceremony (or ceremonies, if you have both a religious and a civil service) and will, of course, be with you on your special day to ensure that you have the wedding of your dreams.